Many new UK self-published authors I have had reason to be in contact with are often unaware that their ebooks that are available on Amazon.co.uk are restricted to UK buyers only. While it is impossible to notice this if you are in the UK, an ebook’s page on Amazon.co.uk will have the ‘buy button’ removed for all non-UK customers, and replaced with the following notice. Instead of this one, which lets buyers, buy ebooks! The cause of the notice is because Amazon Stores other than the US store are geo-protected. 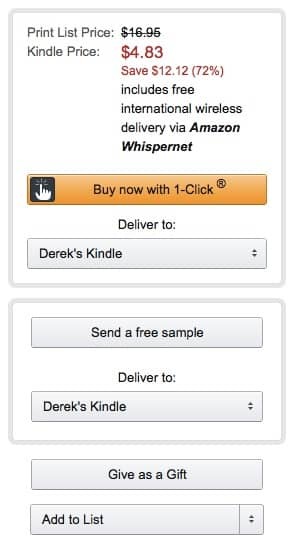 For UK self-published authors, it is absolutely essential to make sure that any ebook buy links posted to social media are using the Amazon.com ebook page link. While it is inconvenient, it is a matter of making sure that an ebook is made available to buy to as many potential readers as possible. As the US is the biggest market for ebooks, it makes sense to use US links and not UK links. Additionally, Amazon.com links will allow purchases by a whole host of other countries, other than just the US. It may have something to do with the history of Amazon UK. Bookpages.co.uk, a UK online book retailer, became Amazon UK on October 15, 1998. So perhaps there was an agreement at that time to keep Amazon UK separate, or maybe on something similar to a franchise basis. Whatever the reasons, Amazon UK up to today is a very different site from other Amazon ebook Stores. Even to the point that Author Central UK does not link in at all with Amazon Author Central US. Reviews from UK readers are kept separated, and book rankings are calculated and displayed in an entirely different form. These differences are important for UK self-published authors to understand, as negotiating these barriers is the only way to achieve reasonable sales success. 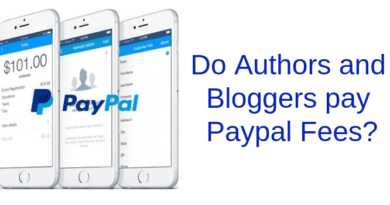 While it may seem that ebooks by UK self-published authors are available to the world, the truth is that only UK book buyers get a buy button when they visit or stumble across a UK ebook link on social media. For people outside the UK, it is very doubtful that they will go to the trouble of copying the ebook’s ASIN number and then go to Amazon.com, then paste the number, and then find the ebook. When the rest of the world finds an Amazon.co.uk link to UK self-published authors and their ebooks, it will be a dead end. My advice to UK self-published authors is to always include two links in any promotional posting. One for the UK, and one for the US, which literally means the rest of the world. But if there is a place for only one book buy link, use the US link to Amazon.com, and give your ebook the best chance of selling. Thanks for the link Susie. A great tool for all authors. There are a number of universal links available (one at D2D) that can be used to circumnavigate this issue. Only US customers get the full cornucopia of benefits, and writers, readers, and customers in other countries are left out when it comes to purchases, book gifting, gift cards and worst of all: book reviews! Yes, Doris-Maria, there are a lot of difficulties for non-US authors, as you clearly point out in your blog post. I have written before about the many issues faced by authors around the world. Thanks for the heads up. I’m about to publish and hadn’t considered this at all. – if I am registered on Amazon.co.uk and upload my Kindle book via that website, will it automatically become available on Amazon .com as well as Amazon.co.uk? Or do I have to duplicate the upload via a separate account on Amazon.com for this to happen? I reckon it must be automatic or I’d have heard of it before in podcasts etc. – And when you talk about getting a link to the Amazon .com page for the book, is it as simple as locating your book on Amazon.com and copying that page URL or is there some better way of achieving that? – Also, if I’m a person shopping for books in, say, the USA, why would I even be on Amazon.co.uk in the first place? Wouldn’t I automatically be steered towards Amazon.com instead(barring VPN software that faked user’s location as UK etc)? Okay David, here we go with your questions. If you publish via KDP UK, your books will be available on all Amazon stores. No, you don’t need to duplicate your publishing. Yes, you will need to locate your book on Amazon.com to get the link. There are universal book links that can help you create links to all stores though. As a start, you can check Draft2Digital for its universal link service. If your book link is to Amazon UK, a US buyer will get a notice saying that the book is not available for them to buy. They will not be redirected. This should be avoided, as it is not a great way to sell a book. In summary, avoid using an Amazon UK link, unless you are directly targeting UK book buyers. Better to use a universal book link instead and ensure buyers are sent directly to the correct store. Why do you think this advice is only applicable to UK authors? This is true for people in a huge number of countries outside the US, including Canada, Australia, all of Western Europe, and so forth. For what it’s worth, as a reader, I’d suggest authors use universal links and NEVER just the US-only, Amazon.com link. 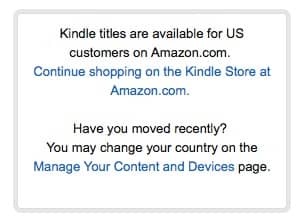 For all you complain that Americans don’t want to click a simple redirect link to find the book on their own national store, this is what confronts everyone outside the US when they click on an Amazon.com link. Use a universal link and no one will face that “second-class citizen” feeling.